GTM 2019 is less than 2 weeks away, which means it’s less than 2 weeks until we see you again and we couldn’t be more excited! We know that sometimes it’s easy to get swept up in the excitement, that you might forget a few things… but not this time! We’re going to give you a hit-list of things to remember before you hit the road on your GTM journey! First thing’s first. YOUR TICKET. Have you got it? If you purchased a hard ticket, make sure it’s packed! If you bought a ticket online, either print it out and pack it, or make sure it’s saved to your smart phone. If you purchased online but can’t seem to find it. DON’T STRESS! All you need to do is log back into your moshtix account and resend them to yourself! So easy! Valid photo ID. Remember, the name and DOB on your ticket MUST match those details on your ID! If you’re over 18, you’ll need to bring a current Government issued ID: Driver’s license, Passport or State Issued Proof of Age Card. We recommend you do not bring any original documents such as your birth certificate. If you’re under 18, you can bring one of the following as proof you are the ticket holder; ATM card, school card, library card or bus pass; just some form of ID that has your full name on it. Cash &/or Card. We do provide ATM facilities on site but they tend to be quite popular so try to come prepared! All bars will have pay wave just in case you run out. A jumper. GTM can get cold at night, so make sure you bring warm clothes! 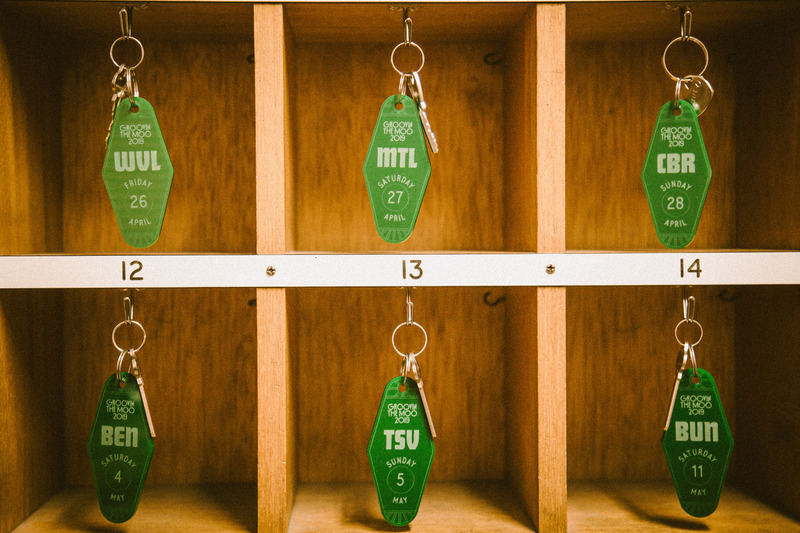 We have a cloakroom on site for you to store your extra bags if you require. Cloakroom costs $5 and runs until 10:30pm at night. Make a meeting point. Make sure you and your friends make a meeting point as soon as you get to GTM in case you lose each other and your phones don’t work! We recommend the set times tower or Nintendo Switch Helpdesk! Most importantly, don’t forget your good attitude, smiling face, positive vibes and of course your best dance moooves! GENERAL INFO / LOST PROPERTY: If a member of your Moo crew has a question or you have lost or found an item, the Nintendo Switch Helpdesk is the place for you. The friendly team can help you out with free water, sunscreen, lost and found, maps, playing times and more while you’re there! Just look for the bright red tent! FOOD STALLS / BARS Lots of tasty food and beverage stalls from local producers and businesses will be scattered throughout GTM. Check out the map to see where you can pick up a feed and a cold drink! WATER REFILL STATIONS: There are free water refill stations throughout the event, so be sure to bring along a sealed or empty water bottle and stay hydrated thorughout the day by making the most of our refill stations! If you forget your water bottle, reusable GTM water bottles are available from Nintendo Switch Helpdesk and the water station near the Merchandise Tent for $5. But be quick they’re limited! THE FIRST AID is open all day. The experienced and friendly team is there to help if you are feeling unwell in any way or hurt. RED FROGS are an integral part of the GTM Family! You will find them roaming around site, be sure to say hi, grab a frog, they are here to help you! MOOTIQUE STATION Our Mootique Station has been set up with those little bits and pieces you may need to freshen up! And the best bit is its all free! ACCESSIBLE TOILETS will be on site to make the GTM experience a smooth ride and of minimal fuss. Refer to the map for locations. SIGNING TENT Check out the Artist Signing Tent on show day to get a memento from some of the GTM 2019 Artists. CHARGE & CHILL Thanks to our friends at Universal Store, you will be able to charge up your phone for free! Why not jump on the Kamikaze ride close by while you wait. POWDER PEN Come in and get a quick ‘zhoosh’ before heading out to your favourite band. Local salon Beautique Hair Lounge will be donating a percentage of the profits made on day to Rural Aid’s Buy A Cow campaign, which aims to assist cattle farmers in North West Queensland restock their herds after the devastating stock losses suffered during the recent flooding. QUEER CANDY Ede Events will be proudly hosting an LGBTQI+ and inclusive safe space, QUEER CANDY, complete with drag queens and disco tunes! Operating since 1966, Ede Events have been at the forefront of event development in the region. They have supplied GTM with marquees, furniture and event equipment since our very first festival and in 2019 are excited to have an even larger presence. QUEENSLAND COUNTRY WOMEN’S ASSOCIATION provides support and friendship for women of all ages in all areas of the state; rural and city. The QCWA are running a market stall packed with protein balls, sugar coated peanuts, crochet delights and more handmade goodness. All the funds will go back into supporting the amazing work the QCWA does for their local and wider community. ST VINCENT DE PAUL will be running a market stall of vintage and second-hand clothes that have been sourced from their stores. The money raised will go back towards helping those less fortunate in Townsville and those who have been impacted by the floods. Getting to the Murray Sports Complex is super easy, but in case you need directions or any further info take a look at the ‘Travel’ section of our website. If you need to purchase a bus ticket, you can do so here. Return buses begin departing from the GTM Bus Stop on Murray Lyons Crescent at 8:00pm. The GTM bus pick up area is the same as the drop off area, located to the right as you head out of the main event gate. Bus controllers will manage when buses come and go depending on how many are in each bus. Don’t forget. You’ll need to have a pre-purchased return ticket or buy a one way fare on site to access the bus services. Otherwise you can pay cash to the driver for a one way ticket for $5. Taxis are located across from the site on Mervyn Crossman Drive near the AFL ground entry. Please be aware that taxis are limited so look after yourself and your mates if you are lining up and be sure to be respectful of everyone else. The public pick up point will be located on Mervyn Crossman Drive. Ride share is available, follow the instructions on the Uber App for the pick up location near the Townsville Basketball Stadium, located on Murray Lyons Crescent. We don’t want you missing any of your favourite bands or artists on the day, so save the set times to your phone so you can easily access them throughout the day! Get acquainted with the locations of everything you’ll need ahead of time, including; cloakroom, food vendors, stages, the Nintendo Switch Helpdesk, medical services and more. They’re all listed in our map! Create your GTM schedule, discover new artists and generate your personalised Spotify playlist based on the artists you favourite within the app! Just log in with your Spotify account to unlock all the features! Download it for free from the Apple Store or Google play now! 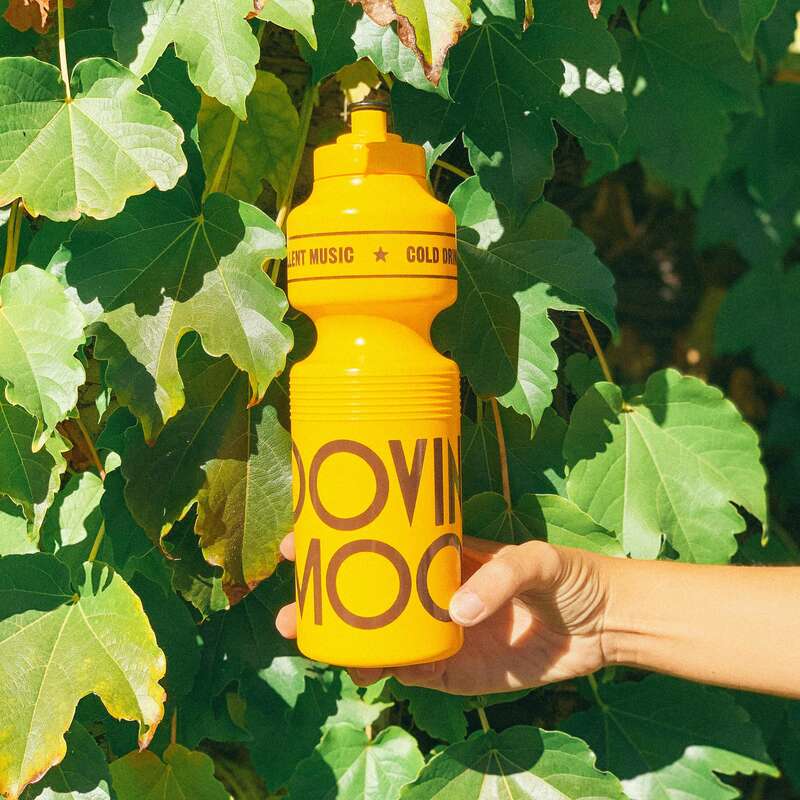 Groovin the Moo will once again be selling reusable water bottles for you to refill at the free refill stations throughout the festival. The bottles will be available from the Nintendo Switch Helpdesk and the water station near the Merchandise Tent for $5, but you’ll have to be quick because they’re limited! You can also help the environment by bringing along a sealed or empty water bottle. We’ll have water stations set up around the festival for you to be able to refill your bottle as many times as you like throughout the day. Stay hydrated! Got some friends who still haven’t bought their ticket? Luckily there are still some tickets for Townsville available, but they won’t last long! Jump online PRONTO to snap ‘em up! BONUS: From Saturday 27th April – *ticket-selling Universal Stores are offering a 20% discount store wide to everyone that purchases their ticket in store, or flashes their official GTM ticket! Last minute festival outfits anyone?! Got a question that we haven’t answered here? Head to our FAQs page! To download our Festival Essentials guide, click here. Hi guys, it’s Bessy here. Thank you so much for all of your love letters! Your kind words (about me, yes hehe) really touched my heart and there were just too many good poems to pick just one. So I’ve decided to give away two double passes to each GTM region! Here are my fave poems and the competition winners! “Bess, you’re like a sunflower, tall and bright. Bess, you’re like a daisy, a rich delight. Bess, you’re like a lily, of the sweetest smell. 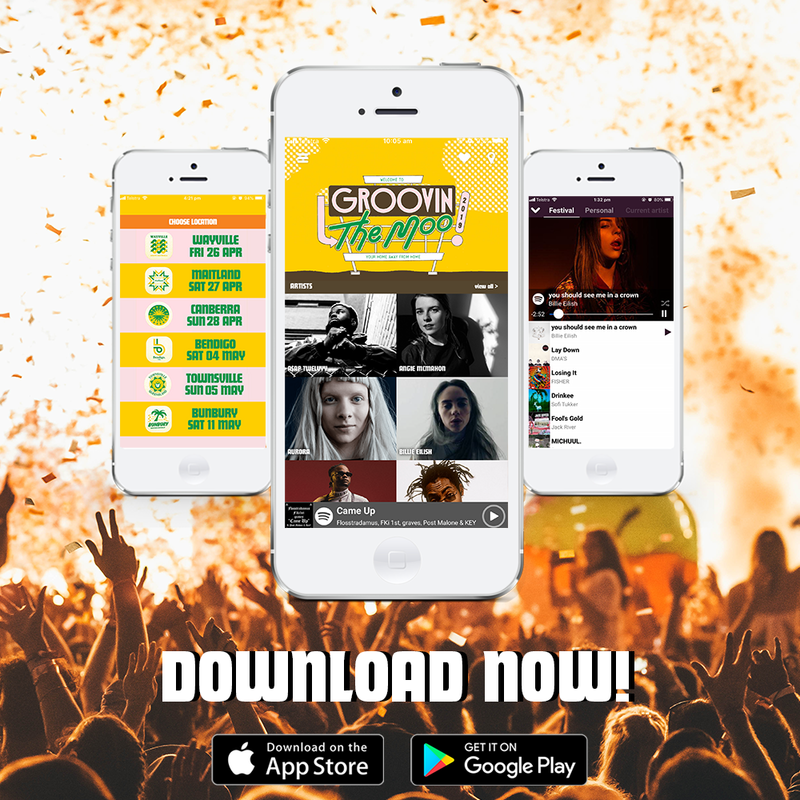 We’re super duper excited to announce that our official GTM 2019 app is available for download! Thanks to our pals at Spotify, the app is your go-to for all the festival info you need to know! In the app you can create your own festival schedule for the day (click the + button next to their set time to add), stream songs from artists on the line up, and create yourself a personalised Spotify playlist by clicking the headphones icon! HOW GOOD. DON’T FORGET: The app works offline! Check your schedule or find out all the info you need right at the festival no matter how much reception you have. Check out our Groovin the Moo 2019 line up playlist below. With GTM 2019 less than 3 weeks away, we know that you’ll all be well into your festival plans… and that means creating your schedule of who you’re going to watch on the day! But of course, this cannot be done without the SET TIMES! If you haven’t got your tickets yet (or you’ve got friends that haven’t), it’s time to grab them before it’s too late! Click here to go to the Moshtix website and snap them up. WANT BESSY TO MAKE YOUR SCHEDULE FOR YOU? We know that sometimes you can get overwhelmed with the number of artists that you may want to see and creating a schedule for your day can be tricky – especially when you want to watch your fave’s but also discover new artists too! Give it a go! 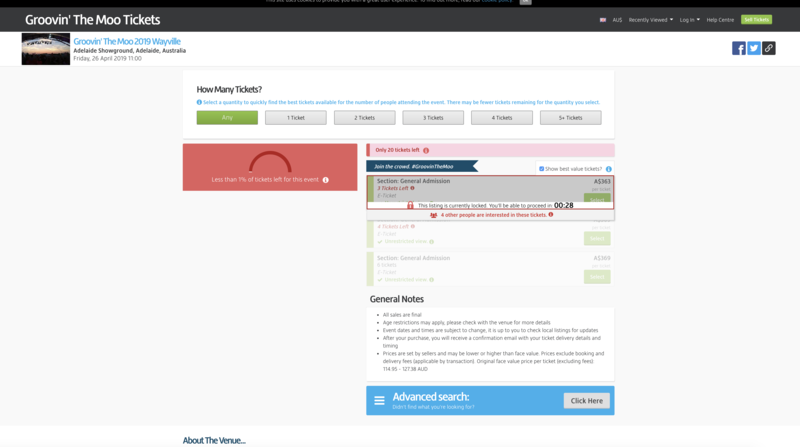 Just start a chat with Bessy and click the “make me a timetable” button and see how she goes! Hello friends! Bessy here. I have 2 x Udder Mayhem tickets to give away to one lucky winner! You should all know by now that I loooove compliments, so I decided that i’d like you to send me a love letter (in 25 words or less) in order to go in the running! The one I like the best wins. SIMPLE! You only get one shot, so make it count! Hot tip: I love compliments and flowers and Groovin the Moo. Alright, now let’s get those love letter flooding in! – Entry into the competition is free. 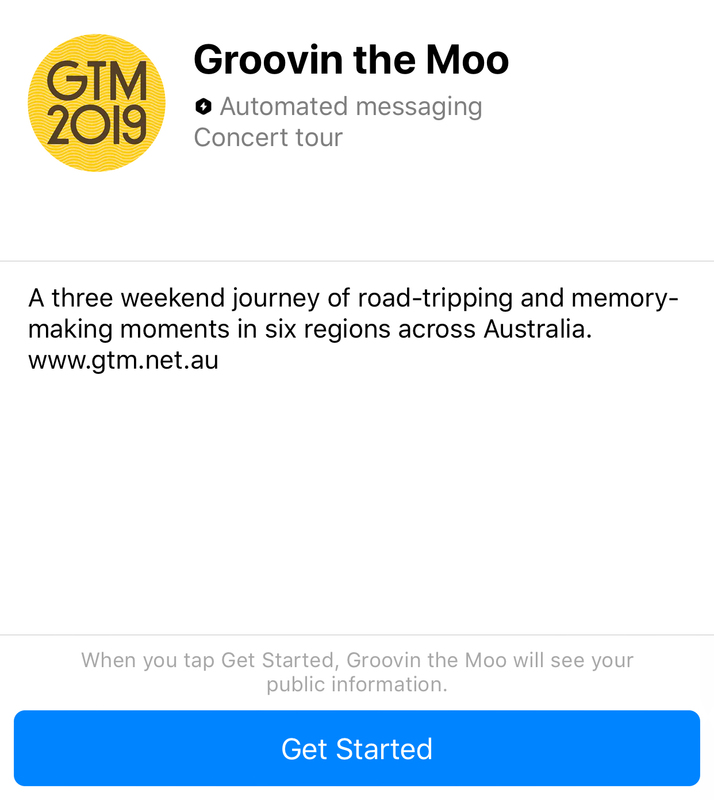 – To enter, the entrant must engage with “Bessy” by sending a letter box emoji to the Groovin the Moo messenger. Once the user grants permission to “Bessy”, they must send in a ‘love letter’ followed by selecting the show they wish to attend. – ‘Love letters’ should be 25 words or less. – By entering the competition, the user grants Groovin the Moo permission to use their entry in promotional and marketing activities. – There is a total of one (1) prize to give away. – This competition is a game of skill; the one (1) most creative answer wins. – To be eligible for a prize the entrant must be an Australian resident. – The winner will be notified by email from Cattleyard Promotions within a week of the competition ending. – The Winner has two (2) days to claim their prize (from the date and time of being notified) otherwise it will be passed on to the runner up. – Maximum of one (1) entry per person. – Cattleyard Promotions reserves the right to refuse any entry they consider to be offensive. – The Judges decision is final and they or the organising company (Cattleyard Promotions) will not be drawn into discussion in relation to the process. 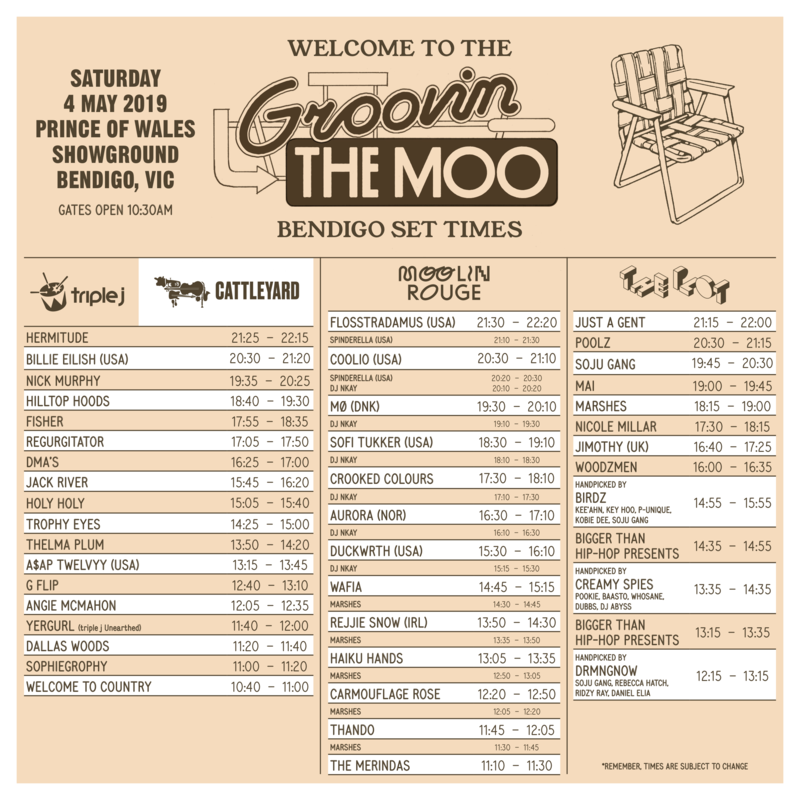 – Employees and contractors of Groovin the Moo and Cattleyard Promotions and their direct families are prohibited from entering the competition. – This promotion is in no way sponsored, endorsed, administered by or associated with Facebook. – The prize is non transferrable to another person. Motel Groovin has just added a buffet of Fresh Produce artists to the line up! We’re super excited to announce our local Fresh Produce line up additions for Bendigo, Townsville and Bunbury! You heard it here first – these artists will be the next future stars of Australian music, so catch them now before they hit the big time! This year we’re also adding a new element to Fresh Produce. Introducing ‘Handpicked’ – where we’ve asked some of our favourite Artists from the last few years to come back and present a handful of the Artists THEY love from their own town. We’re stoked to welcome a diverse group of emerging talent that represent the varied communities within Australian music. Plus GTM Bunbury Silent Disco line up to be announced! Hermitude are no strangers to crafting bouncy, electronic infused bangers and their latest release ‘Every Day’ is exactly what you’d expect from the boys. The track features the enchanting vocals of Canadian singer Hoodlem and she really gives the song that poppy, summer feel and makes you wanna burst out into the streets and dance! The track has had us hooked since February, but today we get a little visual treatment with the release of the video clip! The theme of the video centres around fantasising over love and the exciting effect it has on us – cue the dancing! *Hint* The clip basically sums up how excited we are for GTM 😉 Three weeks to go! IT’S FINALLY HERE! Billie Eilish’s debut album “When We All Fall Asleep Where Do We Go?” dropped today and we cannot deal. The 14-track album is everything we could have asked for and more, but you know what’s even better?! We get to be some of the first people to hear the album LIVE when she hits GTM next month! Our friends at Spotify are giving you the Billie Eilish album experience – including a little video intro from Billie herself. Are you a young creative looking to get more hands-on experience in live music? GTM is very happy to once again be offering Australia’s most promising young photographers and videographers the opportunity to get into the photographer’s pit at your local GTM to snap one of the artists on our touring line up! Before jumping into the photographer’s pit, the lucky Shoot the Moo winners at each event will score one-on-one time with GTM’s official tour photographer to learn some tricks of the trade, while the Film the Moo winners will have the opportunity to pick the brains of GTM’s official tour videographer during their one-on-one time. If you’re aged 16-25 and have a keen eye for photography or videography, we want you to apply! Entries are open NOW and close at 12noon on Monday 8th April, 2019. Terms and conditions apply. We caught up with G Flip to find out her fears, how she maintains mindfulness and what the highlight of her day usually is. Check it out below! 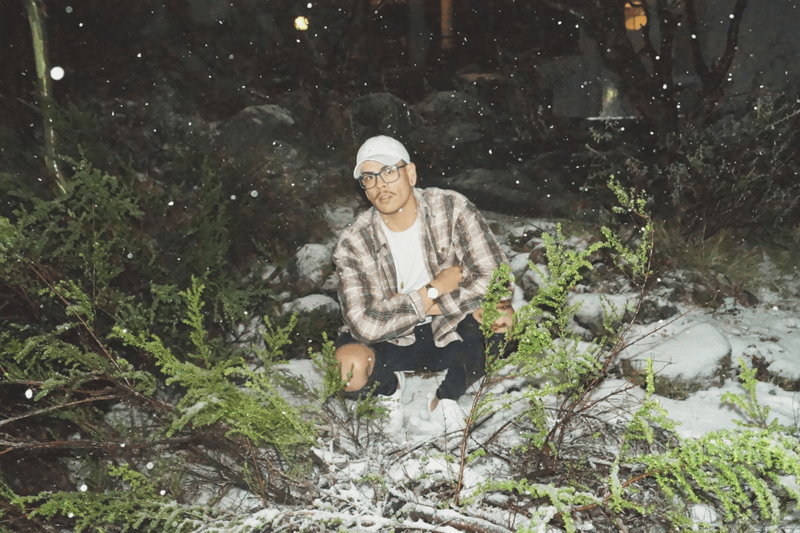 As has become ritual, triple j Unearthed have been scouring Australia for the best up and coming talent to help us open up each of our local shows. The search is over! 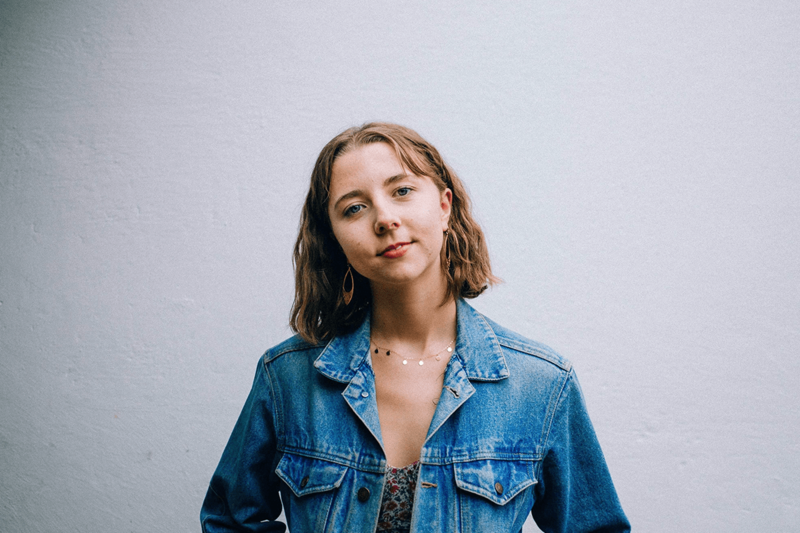 Say hey to all six of your triple j Unearthed winners for 2019! Ever wondered what a Duckwrth set is like? The lucky peeps in Bunbury were treated to a sneaky Duckwrth set last year. His energetic set and spicy dance moves got the crowd going and we couldn’t resist adding him to the full tour this year! We caught up with John Floreani from Trophy Eyes to find out his secret skills, guilty pleasures, how he maintains mindfulness and so much more. Check it out below! What does Ireland and hip-hop have in common? Not a whole lot, until now. Cue, Rejjie Snow. 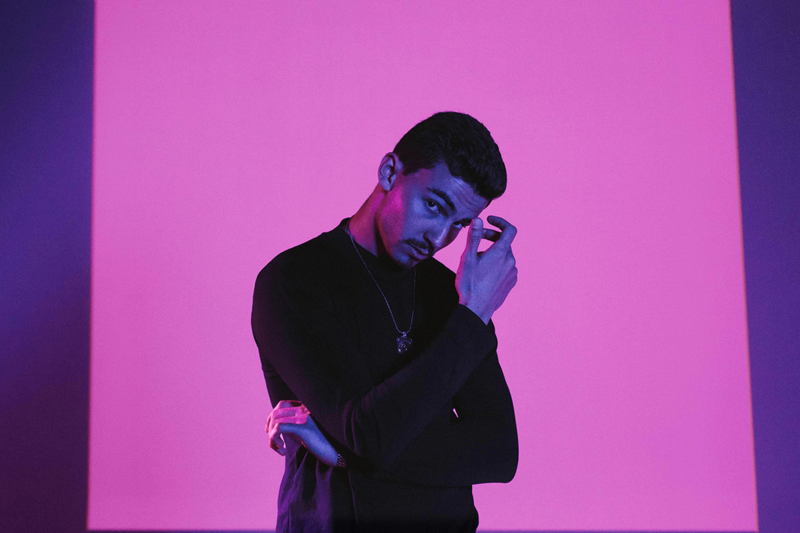 Before you head to your nearest Groovin the Moo for 2019, take a seat and get to know five of our fave tracks from the Irish rapper. Featuring smooth production and slice-of-life lyrics, the song encapsulates the simplicity and complications of love. ‘23’ is an infectious, whistle filled duet from Rejjie Snow and Caroline Smith and is a great example of Rejjie’s versatility, seamlessly bridging the gap between hip-hop, rap & pop. If you aren’t whistling along by the end of the track, you’re doing it wrong! ‘ACID TRIP’ definitely has a Kanye/Kid Cudi feel to it with powerful basslines and a constant dip in and out of auto tune. It’s another showcase of Snow’s ability to adopt a wide variety of sounds and the song itself sounds like a hazy dream, with the recurring theme of love present throughout. A track with Rejjie Snow, Joey Bada$$ and Jesse Boykins III was always destined to be something special. It’s lyrically conscious, smooth, jazzy rap with each artist holding their own and coming together perfectly. Jesse Boykins rounds it out with a classy sprinkle of baritone hooks and delightful backup vocals. It’s a vibe. A personal favourite at GTM HQ, ‘1992’ features GTM alumni Loyle Carner and Snow going at it verse for verse with a slick, old school backing track. They’re the perfect match on this chill-rap track and we recommend putting this one on repeat! ‘Egyptian Luvr’ is an instant bop. This is partly thanks to legendary producer Kaytranada behind the beat, alongside a feature from another GTM alumni, Aminé. It’s a soulful cut that is tied together with a dreamy hook from Dana Williams. The track oozes cool, but reveals a deeper meaning about last moments and not knowing what the future holds. You can catch Rejjie Snow at GTM 2019! Townsville, your Commoonity Program is here! At the heart of Groovin the Moo’s (GTM) festival philosophy is the desire to showcase and support communities and regions that are often those less travelled. 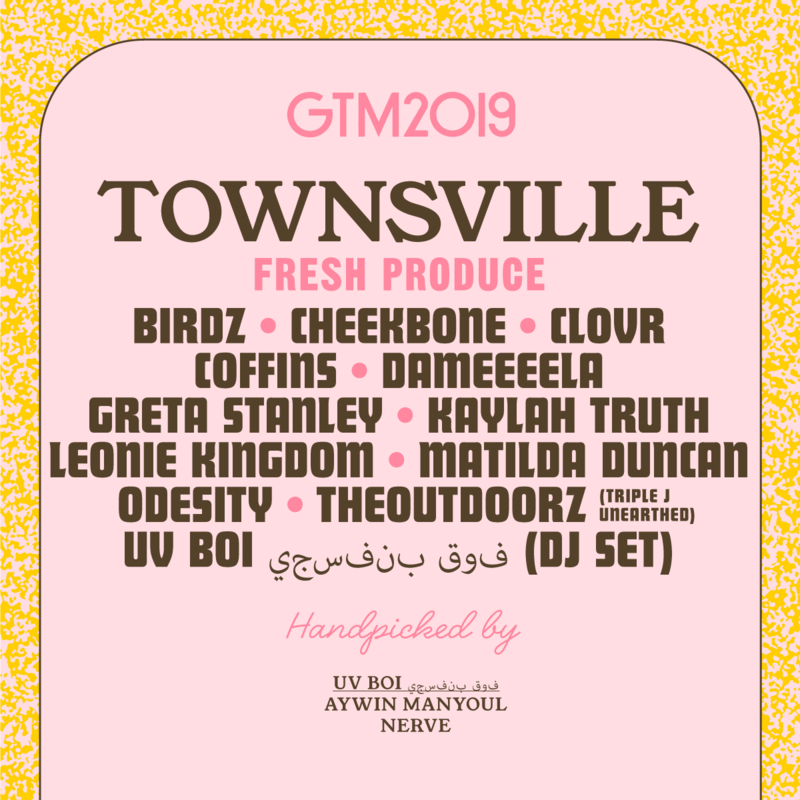 GTM’s Community Program has been developing organically each year and we’re thrilled to announce what we’ve got in store for Townsville in 2019. Operating since 1966, Ede Events have been at the forefront of event development in the region. They have supplied GTM with marquees, furniture and event equipment since our very first festival and in 2019 are excited to have an even larger presence. Ede Events Extravaganza will be popping up on show day in support of our LGBTQI+ community, they will be hosting an inclusive space complete with drag queens and disco tunes. Make sure you pop in and say g’day. Umbrella Studio are running a bunch of community art workshops! Come on down and decorate a suitcase to celebrate the Hotel/Motel theme. The suitcases will be used to decorate various parts of the GTM site. To get involved, email millie@cattleyard.com for more info! The Hub Creative Centre is a gallery and workshop space for groups to hire or individuals to join in on different activities. Every Friday morning, people get together for a Positive Possibilities Program. The program enables and empowers individuals living with a disability to gain life, social and self-care skills. They have teamed up with the GTM décor team to assist with bringing the festival to life with bright and colourful artworks. St Vincent de Paul will be running a market stall of vintage and second hand clothes that have been sourced from their stores. The money raised will go back towards helping those less fortunate in Townsville and those who have been heavily impacted by the floods. The QCWA will be hosting a fundraising stall packed with protein balls and other bits and bobs to get you through the day. Pop your water bottle into a crotchet drink holder or browse through the other crafts made just for you! While you are there have a chat to the QCWA and see how you can get involved; it is not all just tea and scones! Returning in 2019, GTM’s Powder Pen will keep you looking festival fresh! For a small donation, you can get a quick hair and make-up “zjoosh” thanks to Beautique. A portion of proceeds from the Powder Pen will go back to the charity of the salons’ choice. If Groovin the Moo (GTM) was a hotel, it would have vacancies for anyone and everyone, all the time. This philosophy is something that is at the heart of GTM’s Community Program, which strives to involve as many elements as possible from each of the communities and regions that it visits every year. We’re incredibly excited to be bringing a bunch of our most beloved community initiatives to all six regions in 2019. These range from work experience for budding festival lovers, to programs for disadvantaged youth, from opportunities for local artists to showcase their wares, to chill out spaces and pop up parties. The legends at HEAPS GAY started a few years ago as a series of parties for LGBTQI+ kids and their friends and has since become a regular party starter for anyone who wants to have fun and support good causes. Over the years, HEAPS GAY have been popping up at various GTM events with their inclusive space, the Milk Bar. This year they’ll bring their glitter, good vibes, classic tunes and country drag to Maitland, Canberra and Bunbury. Wayville, Bendigo and Townsville will be gaining their own inclusive spaces too – think Motel pool parties and dress ups with drag queens. There’ll be something fantastically fun for everyone. 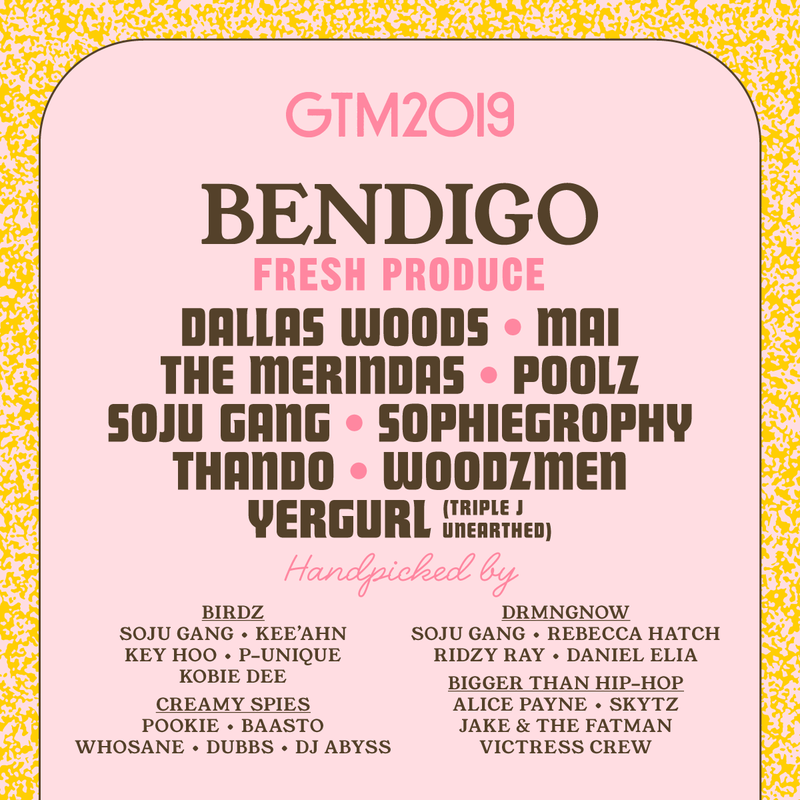 Each GTM will showcase the talent on offer from the local art community providing something for everyone – from stilt walkers in Wayville, to MYO tote bags in Bendigo and artwork throughout every festival site, from the front gate entry to pop up Hotel/Motels. There’s a huge range of local legends who will lend a hand to literally make our festival sites a piece of art! Returning nationally in 2019 GTM’s Powder Pen will keep you looking festival fresh around the country! For a small donation, you can get a quick hair and make-up “zjoosh” thanks to local beauty, barbershop and hairdressing salons. A portion of proceeds from the Powder Pen will go back to the charity of the salons’ choice. GTM will be working with over 10 organisations across the country to engage local youth from families who are experiencing hardship, are at risk or are disengaged. Invitations will be sent out to these local support groups, encouraging local youth to head along to GTM to experience a fun day of music festivities with their peers. Immediately following the Welcome to Country ceremonies, traditional dance and language workshops will take place on the outdoor stages at each GTM. This is an opportunity to learn the movements and language of the traditional custodians of each region that GTM visits. From humble beginnings at our first GTM (Gloucester, NSW in 2005), where students from the local TAFE campuses were invited to gain insight and lend a hand with all things Moo, we now involve 18 education facilities around the country. These include high schools, tertiary institutions and community groups from each region and those who sign up can gain experience in a range of areas including Artist Liaison, Event, Production, Publicity and festival bump in and bump out. You know it’s gonna be a good day when Nick Murphy fka. Chet Faker releases new music AND announces the release date of his new album! After his 2017 EP Missing Link, Nick has been pretty quiet on the music front, gathering inspiration from a mix of living in New York, travelling around the world and reflecting on himself an as artist. Today, he’s released a beautiful new single ‘Sanity’ and we’re super keen for what’s to come! Written in Rick Rubin’s legendary Shangri-La studio, the track is soulful featuring bright piano melodies, with Nick’s uplifting vocals being on point as usual. The accompanying video clip – filmed in the Canary Islands is a trippy exploration of artistic discovery and alludes to a personal journey Nick has been on for quite some time. Here’s the icing on the cake; his new album Run Fast Sleep Naked will be released on April 26 aka. 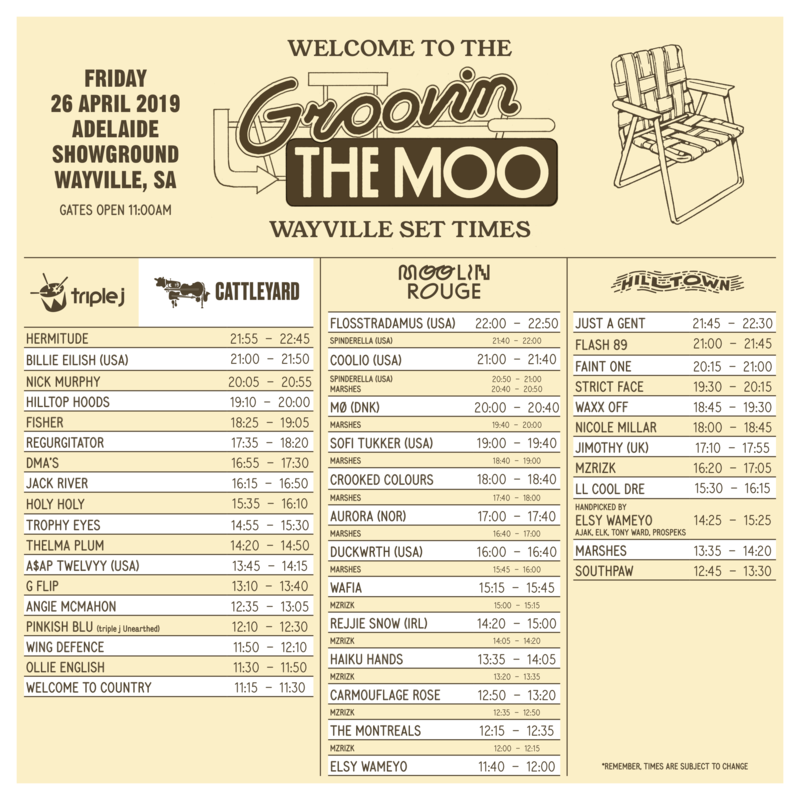 The first show on the Groovin the Moo tour – Wayville! We can’t wait to celebrate such a special day with Nick Murphy and you all! You can catch Nick Murphy at GTM 2019! Hilltop Hoods are well and truly on top of the world right now! After releasing their EIGTH album The Great Expanse just under two weeks ago, the Hoods now hold the record for most #1 albums by a group or band on the Aussie Aria charts. HUGE. 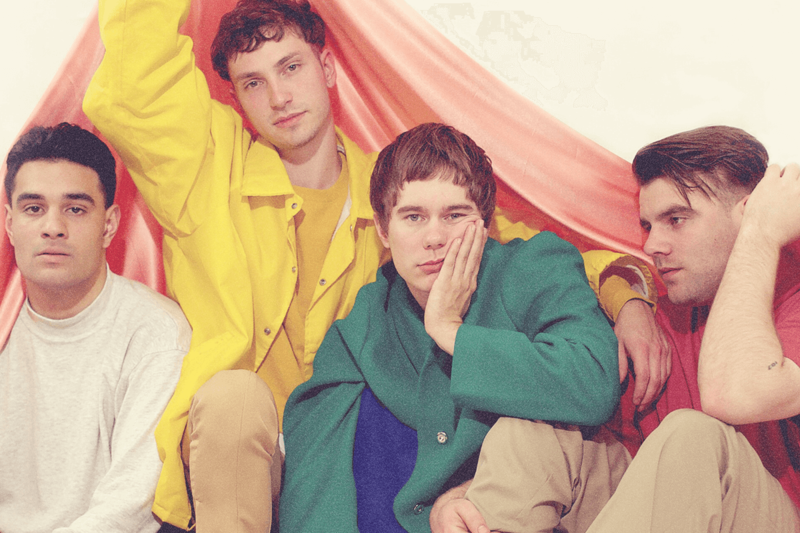 You can give The Great Expanse a spin below and get ready to sing along to all their tunes, old and new at GTM 2019! Earlier this year, pop-goddess Jack River teamed up with the Peking Duk boys on the super sweet track ‘Sugar’. Peep the video clip now and catch her live at GTM 2019! Just when you thought the line-up couldn’t get any better, we’ve added not one but TWO cheeky surprises to get you even more pumped for GTM! 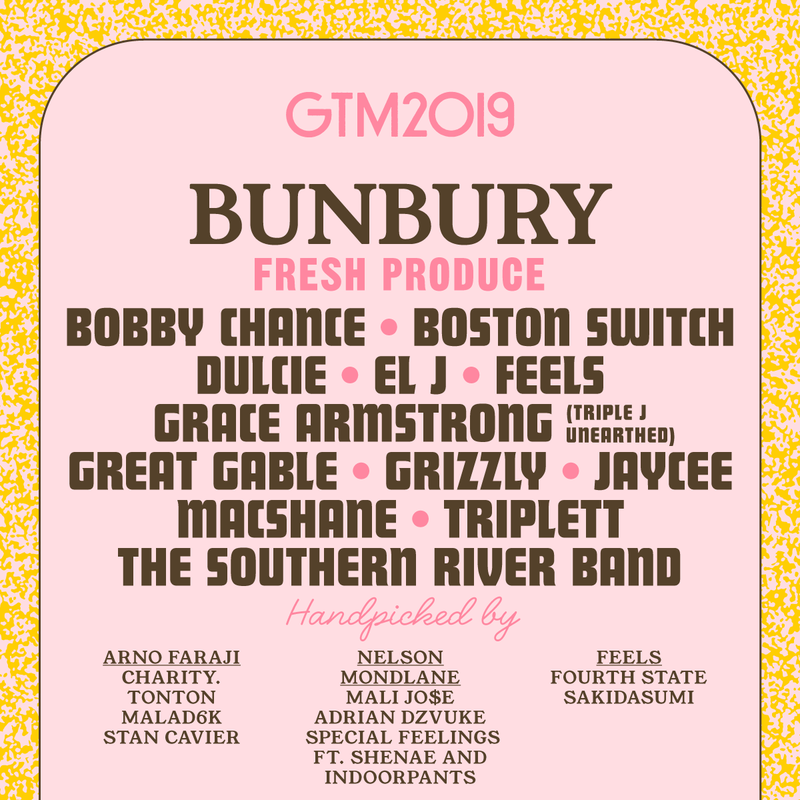 We’re thrilled to announce that triumphant pop-queen Wafia and quirky North London rapper Jimothy are our newest additions to the GTM 2019 line up! Brisbane-based Wafia strikes a perfect mix between touching, heartfelt tracks and dance floor siren songs. 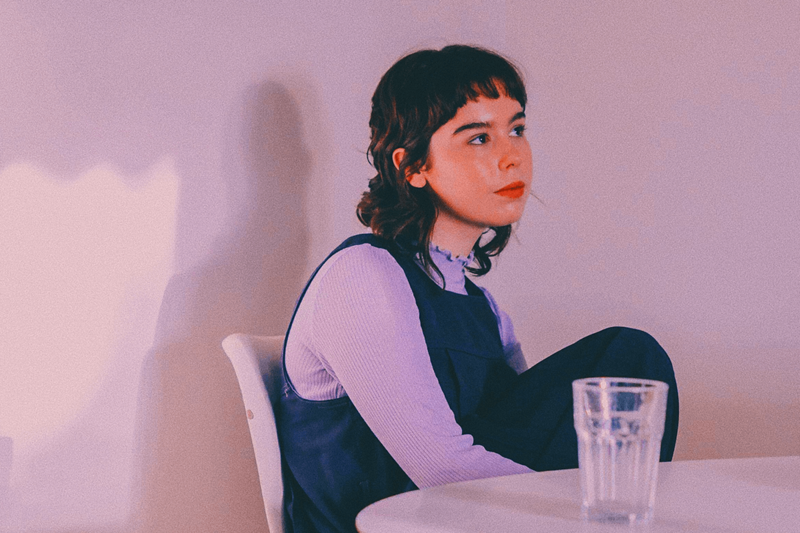 Her soulful blend of broody, electronic-pop will have you swooning, and we can’t wait to be singing along to ‘I’m Good’ when she hits the GTM stage! North London’s new wave of UK rap is here! Timmy Gonzalez aka. Jimothy “Hates being lazy, hates being dumb, hangs with posh white kids and loves his darling mum.” We’re totally okay with this! Suss out his latest track ‘Getting Burberry Socks’ below for a taste of what you can expect! After just being announced on the packed Groovin the Moo 2019 line up, our little avocado friend has two very important announcements you need to get your eyes, ears and brain around! Billie delivers big time here with her alt-pop brilliance and we love, LOVE. The track is minimal but dark in nature, featuring brooding electronic synths, a foot tapping percussion and some seriously haunting vocals. Alongside the track release, she’s announced her upcoming album ‘WHEN WE ALL FALL ASLEEP, WHERE DO WE GO?’ which is due out March 29 aka. One month before GTM! 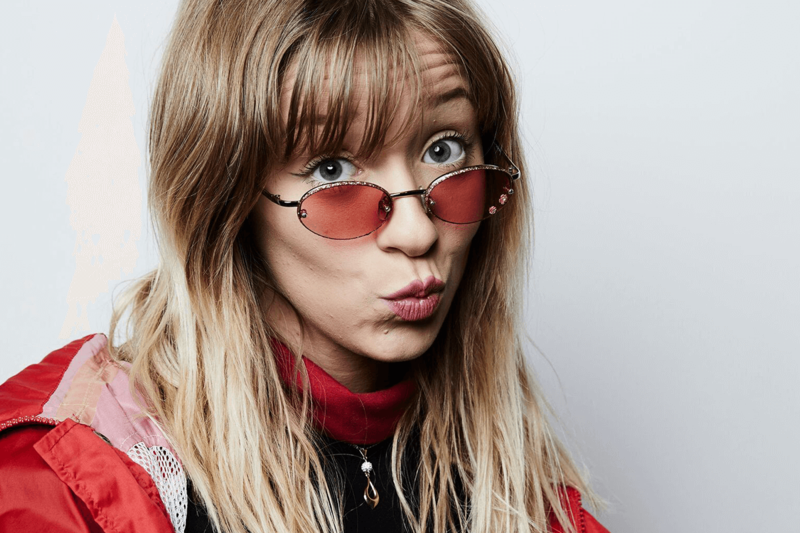 The Groovin the Moo 2019 line up is as stocked as a mini bar fridge! It’s time to pack your bags and get excited! We’ll once again be crusin’ down the great open road, making pit stops in six regions around Australia, over three consecutive weekends – all while enjoying incredible tunes, seriously good times, and taking those unbeatable Australiana views along the way. 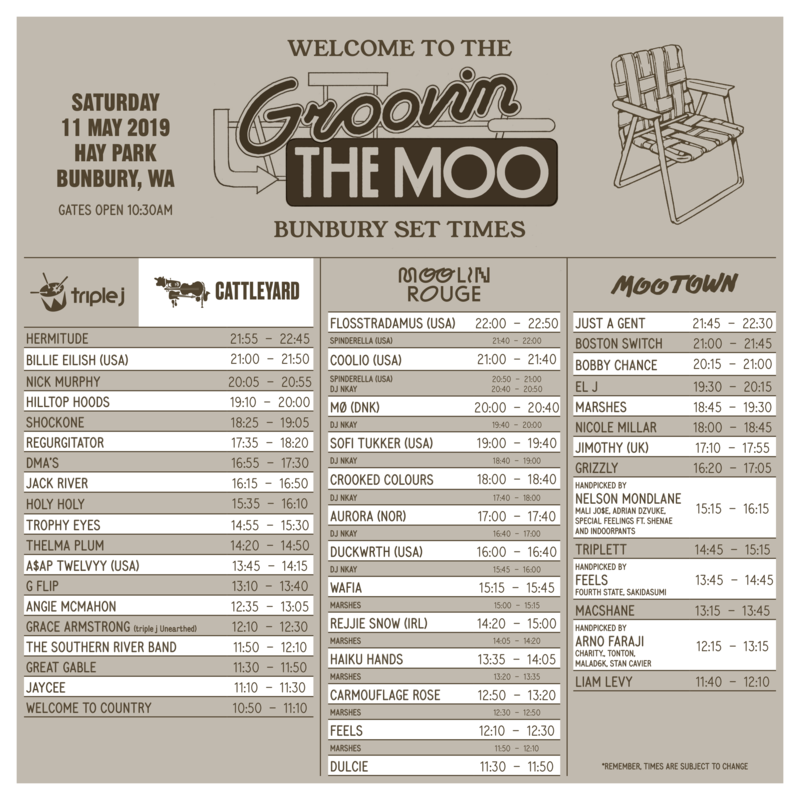 So, without further ado, it’s time to welcome our guests to Motel Groovin 2019! With triple j Unearthed, Fresh Produce artists and Community programs to be announced! 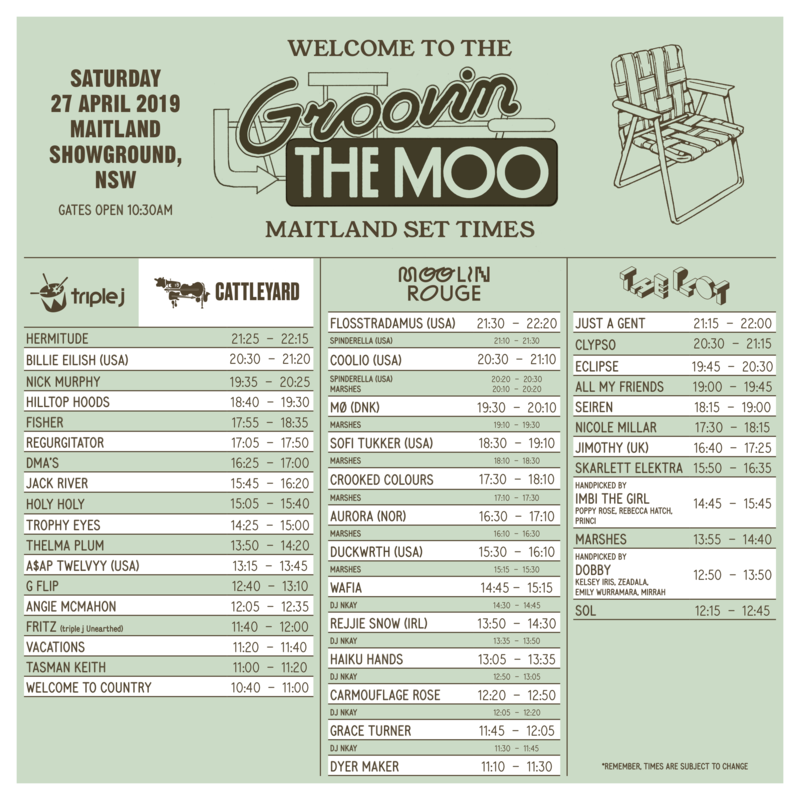 Our GTM 2019 line up has something for everyone – from new favourites like Jack River and Haiku Hands to flat out legends and GTM alumni Hilltop Hoods, Hermitude and Regurgitator. The triple j Hottest 100 was packed to the rafters with GTM artists including Fisher (#2 ‘Losing It’), Billie Eilish (#8 ‘when the party’s over’, #17 ‘lovely’, #46 ‘you should see me in a crown’) G Flip (#38 ‘About You’, #62 ‘Killing My Time’) and Angie McMahon (#49 ‘Missing Me’) with Thelma Plum, Hilltop Hoods, DMA’S and Trophy Eyes taking out numerous spots on the countdown. Aside from Hottest 100 (and world) dominator Billie Eilish (USA), there’s a stack of guests joining us from shores afar. Female powerhouses Aurora (NOR) and MØ (DNK) will bring audible joy to your earholes, while Soﬁ Tukker (USA), TOKiMONSTA (USA) and the legendary Spinderella (USA) will keep you dancing all day and night long. Get your ‘Gangsta’s Paradise’ on with Coolio (USA), and keep moving with A$AP Twelvyy (USA), Duckwrth (USA), Flosstradamus (USA) and Rejjie Snow (IRL). Like last year and plenty of years before that, triple j are on the lookout for one artist from each GTM region to add to the 2019 line up. Past winners include legends like SAFIA, Coda Conduct, West Thebarton and Good Doogs and we can’t wait to uncover more gems this year. The competition is open now and all you need to do is have your best tunes up on the triple j Unearthed website by midnight on Sunday 24 February. For more info, head here! There’ll be heaps more news coming via our socials, including how you can get involved with your nearest GTM and details on our Shoot the Moo and Film the Moo competitions. Tickets are available online via www.gtm.net.au or www.moshtix.com.au, by phoning 1300 GET TIX (438 849), or at local outlets (visit our website for a full list of outlets in your area). Moshtix is the only official online ticketing outlet. 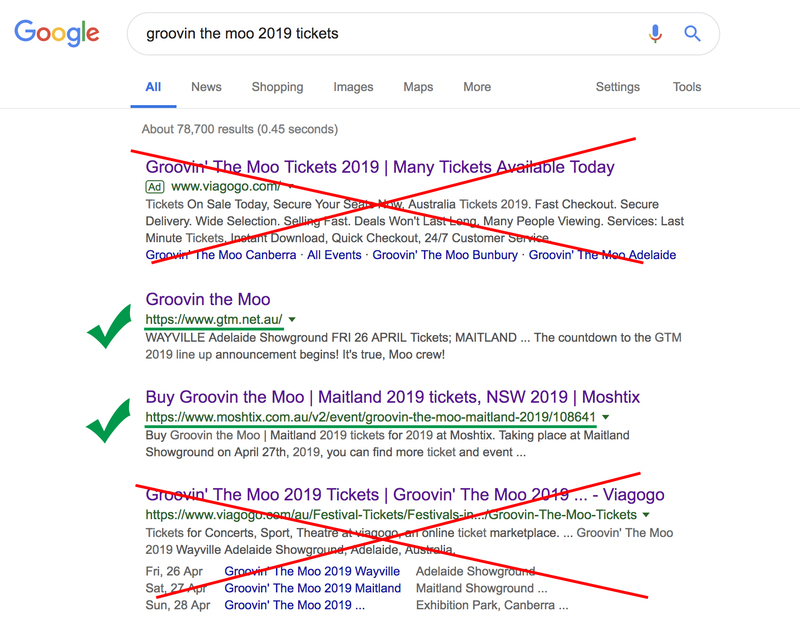 We urge you to double check you are purchasing from Moshtix only, and not a third-party ticketing website (such as ViaGoGo, Gumtree, ebay etc). We cannot confirm the legitimacy of any tickets purchased via a third-party ticketing outlet and don’t want to see our genuine GTM fans scammed out of their money. To save you from any extra stress, ensure you already have a Moshtix account (and you know your username and password!) and if not, then don’t forget to sign up for an account in the next few days. If you are purchasing on behalf of your friends, make sure you have everyone’s full name and date of birth ready to go – double check these! If you need to reissue a ticket for the incorrect spelling or DOB, there is a $10 reissue fee, so make sure it’s correct to start with! We also have a few official ticketing outlets in each region so if you’re keen for a face to face transaction, head to the Info page on our website. GTM is a licensed all ages event. And now… The cow is out of the paddock (and into the office!) Say hello to Bessy! She’s loud, proud, full of sass and is your go to gal for any burning festival questions you might have about GTM! 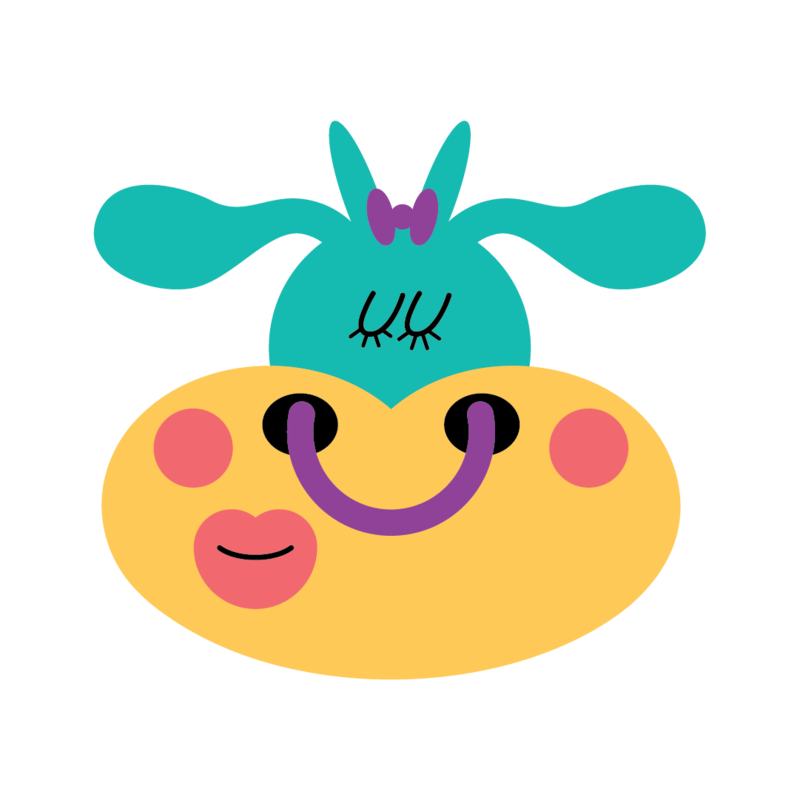 She’ll be working online 24/7 at Moo HQ starting tomorrow morning and is absolutely moognificent at her job! Head to our GTM Facebook Messenger and start chatting to her by hitting the big blue ‘Get Started’ button, thanks to Travel Insurance Direct. There have already been rumours circulating that she’s approached the bosses for an immediate raise. 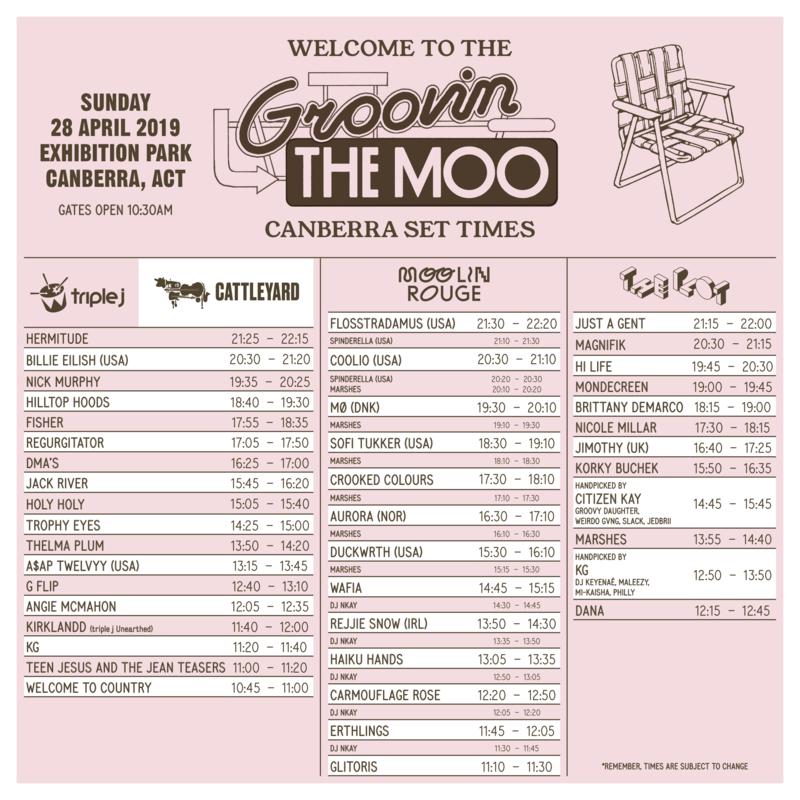 Time to check in to Groovin the Moo 2019, your home away from home! Sit back, relax and get comfy because Motel Groovin will once again be checking in to your six favourite regions around the country in 2019! Put these dates into your diary and get ready for good times, good vibes and great music! Hey Canberra! You might have noticed that we will be moooving to an epic new venue this year… That’s right – Exhibition Park in Canberra (EPiC) will be our new home! Only a short distance from our previous location, we cannot wait to welcome you there! As is becoming Christmas tradition, we would like to gift our Moo Crew with a special treat before the new year rolls in… Get first dibs on GTM 2019 tix before the line-up drops with our VERY limited Xmas Pre-Sale! They will be available from 8am AEDT, Friday 30 until 5PM Friday 7 December (unless sold out prior) and will cost $114.95 (including booking fee). Unlike previous years, this will be your only opportunity to secure tickets before the general on sale next year! Bring on 2019 Moo Crew! Our limited Christmas pre-sale kicks off on Friday 30th November 8:00AM local time (for all shows) and will run until Friday 7th December 5:00PM, unless sold out prior. Tickets cost $114.95 (including booking fee). Make sure you have your moshtix login details all ready to go – you don’t want to get stitched up by forgetting your log in details at check out! When purchasing, ensure you put in the correct details of each attendee (if purchasing for your friends as well), including their FULL NAME and DATE OF BIRTH. Please double check these deets, including spelling, with your mates before you purchase. The limited Christmas pre-sale is for General Admission tickets only. NOTE: General Admission tickets are for both under and over 18 years – it’s your D.O.B that determines which wristband you get on entry. If you’re after an Udder Mayhem ticket, you’ll have to wait until our general sale next year. Maximum of four (4) tickets per moshtix account can be purchased. Remember, Viagogo = viaNONO! Same goes for eBay or gumtree – we cannot guarantee the legitimacy of tickets purchased through these outlets, so save yourself the disappointment and avoid these site’s completely. Please read the Conditions of Purchase before buying your ticket. If you do miss out this round, or want to wait until you’ve seen the line up first, don’t worry! The next (and last) opportunity to secure your tickets will be our general on sale early next year. Stay tuned to our socials for all the deets! 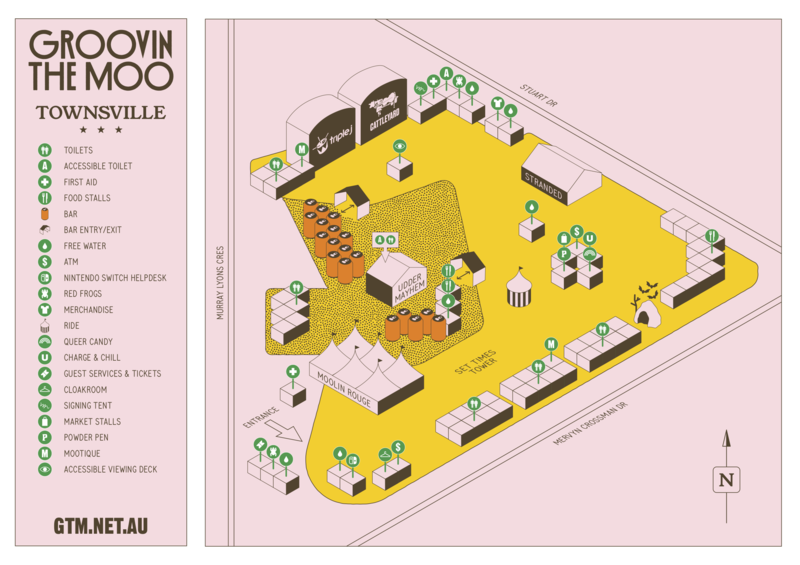 Groovin the Moo is a licensed, all ages event. BUT if you’re under 16 years of age, make sure you check with your parents before buying your ticket. It’s true, Moo crew! You can officially start your countdown to the GTM 2019 line up announcement. Wednesday 30th January, 2019 – Set your alarms, put it in your diaries or write it on your arm – whatever you need to do to ensure you don’t miss it! Friday 1 February – 8am local time. PRO TIP: Unlike previous years, this will be your next, and last, opportunity to secure your tickets. We don’t want to see you miss out (or get scammed later down the track) so make sure you’re ready to go and don’t wait! The Groovin the Moo 2019 line up drops in ONE WEEK. Huge, we know. This also means it’s a great time to make sure you’re prepared for when tickets go on sale! HOT TIP: Unlike in previous years, the general sale will be your next and last opportunity to secure your tickets to GTM 2019. There will be no pre-sale this year, so if you don’t want to miss out, make sure you’re ready to snap up your ticket on the dates and times listed above! FYI: All tickets are General Admission – we do not sell ‘Over 18’ and ‘Under 18’ tickets (excluding the Udder Mayhem add-on which is 18+). On the day of the event, your photo ID and date of birth will be checked and you will receive a wristband that reflects if you’re over or under 18. 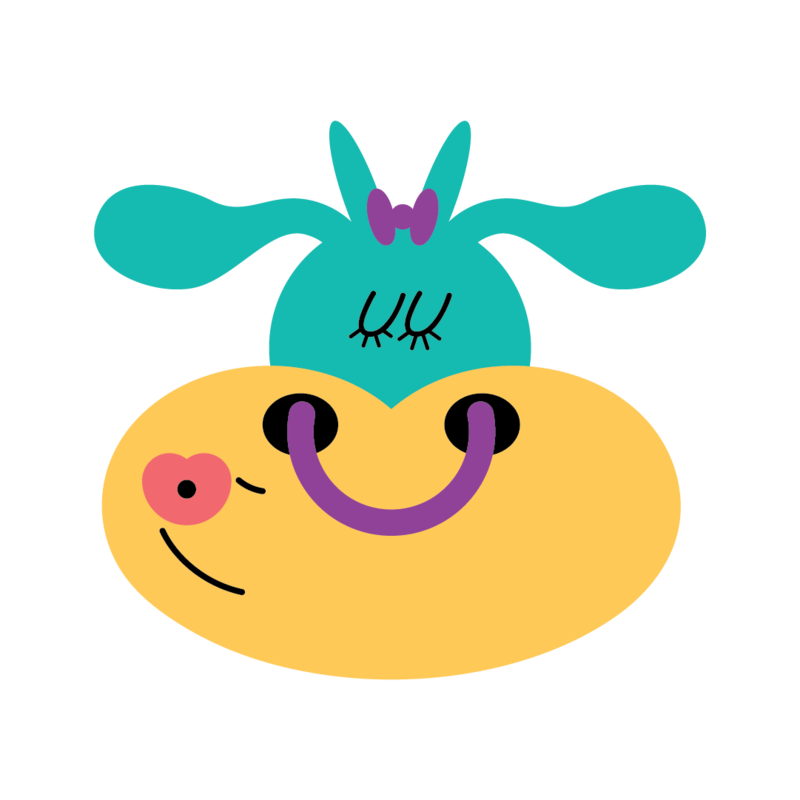 Udder Mayhem tickets are available to purchase for all GTM shows for people 18 years and older. These tickets can be selected as an add-on upgrade option when purchasing your General Admission ticket through Moshtix. NOTE: Udder Mayhem tickets are strictly available to patrons 18 years and over, and those who purchased a General Admission ticket in the Christmas pre-sale ticket will not be able to upgrade their ticket to Udder Mayhem. Moshtix is the only official online ticketing outlet. We urge you to double check you are purchasing from moshtix.com.au and not a third-party ticketing website (such as Viagogo, gumtree, eBay etc). We cannot confirm the legitimacy of any tickets purchased via a third-party ticketing outlet and don’t want to see our genuine music fans get scammed! To save you from any extra stress, ensure you already have a Moshtix account (and you know your username and password!) and if not, then don’t forget to sign up for an account ahead of sale day! You’ll also need to make sure you have your payment details ready! We know, we know, you use Moshtix for heaps of gigs, but go on, log in now to double check you know your account details. No-one wants to be hitting that ‘Password Reset’ button once tickets are on sale! If you are purchasing on behalf of your friends, make sure you have everyone’s full name and date of birth ready to go – double check these! If you need to reissue a ticket because of incorrect spelling or a wrong DOB, there is a $10 reissue fee, so make sure it’s correct to start with! Note: a maximum of 4 tickets can be purchased per Moshtix account. After a show completely sells out, our official resale will open through Moshtix, where people who are no longer able to attend can resell their tickets and anyone who missed out can purchase them for cost price. Sign up to the waitlist on the corresponding event ticketing page to secure a spot in the queue. Note: The availability of tickets is based on the supply re-sold back to Moshtix. If you miss out online or wish to purchase a hard ticket, we have a number of outlets in each region selling tickets to GTM 2019 (for their local show only) including Universal Store! You can find the list of outlets by heading to our website or check out the full list below. There are plenty of bus services to get you to GTM and home again! While Wayville’s public transport has it covered, there will be a number of additional bus services running for Maitland, Canberra, Bendigo, Townsville and Bunbury. Bus tickets can either be purchased directly through moshtix as an add on to your tickets, or directly with the relevant bus company – depending on which show you are attending. For further info on buses and routes, check out our website and socials. GTM is a licensed, all ages event. BUT if you’re under 16 years of age, be sure to check with your parents before buying your ticket. *local time means the time in the region. i.e. if you live in Melbourne, and wish to purchase a ticket for Wayville, you’ll need to be online at 8:00am Wayville time to purchase a ticket for that show.